November Quotes i.e. searching for some funny and cute quotes about month of November. If yes, now you don't need to search for them anymore. As here I have compiled down some of the best November quotes and sayings for you. Just hope you will like the quote compilation and welcome this month of November by sharing some of quotes from here. Welcome November, please be sweet! Keep Calm and Say Hello to November. November's sky is chill and drear, November's leaf is red and sear. The gloomy months of November, when the people of England hang and drown themselves. 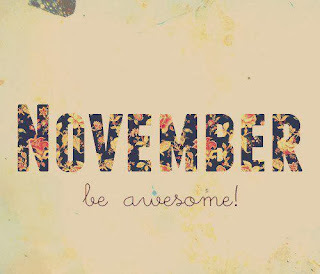 Dear November, Please be awesome! Hello November! Please be good to me. Keep Calm and Welcome November. Keep Calm and It's November. Hello November! Please be nice. Let's spark up November and make it better than October.